AO and BPC/4 Work status Integration. A work status that will be used in Analysis, has to be defined with SAP Business Planning and Consolidation (BPC), version for SAP NetWeaver embedded. The work status is configured in the BPC Web Admin Tool and is based on a BPC model. A model can include one or several Info Providers. 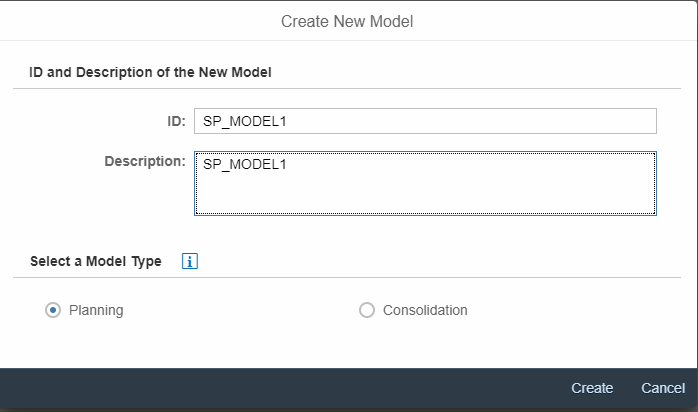 All Info Providers in the model must contain the owner dimension. In order to create this workflow, first of all we need to create certain Planning objects. Here I have used a BPC 11.0. 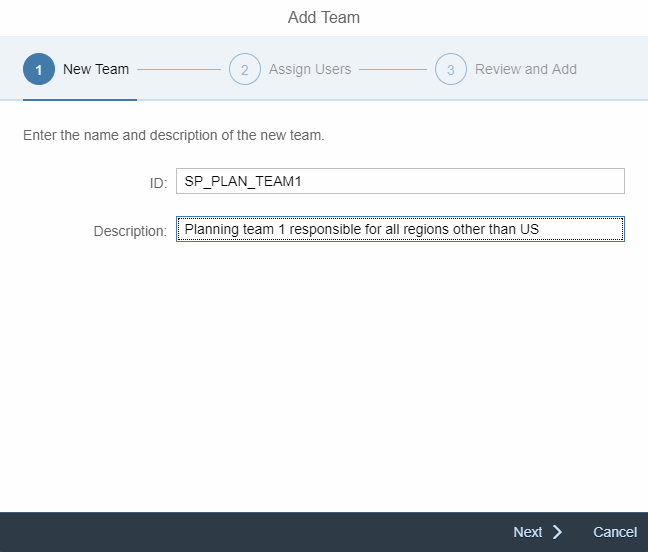 1.Create a planning enabled Advanced DSO. Since I will be planning for a product in a city. It is necessary to create a hierarchy for the City Dimension in the backend via Tx: RSH1. The hierarchy looks as follows. 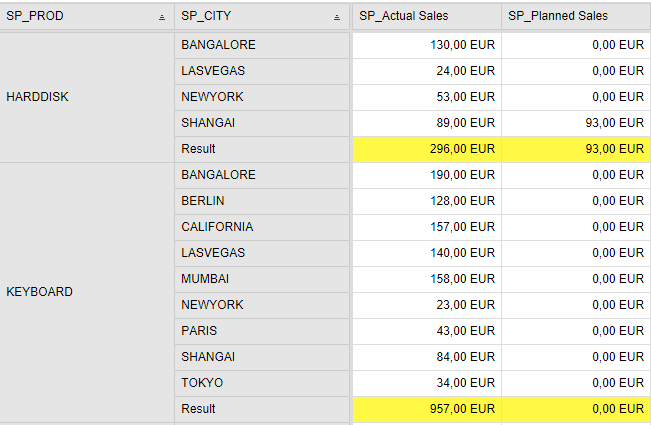 Create an aggregation Level and a query. 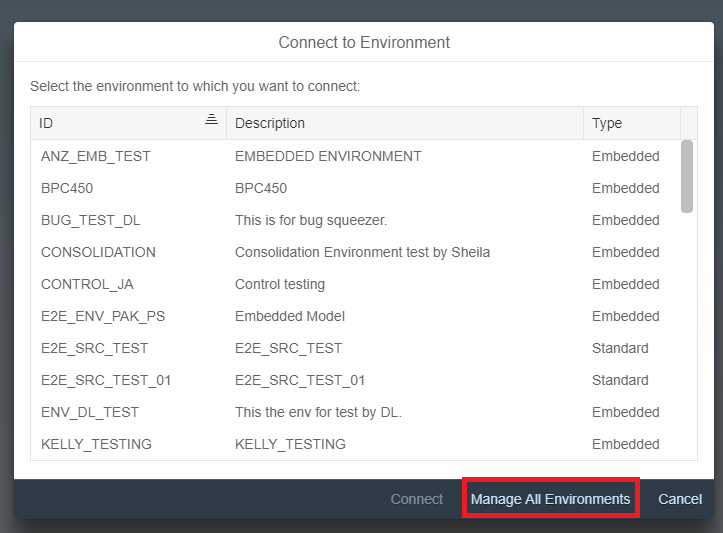 Now connect to the environment created. Select the Planning enabled ADSO. Click on – Click here to select an Info provider. Search for the info provider. Consider Order1 – Start Planning , only Manager can set it to this status and in this state Manual entry of values is not allowed by neither manager nor owner. Similarly consider, Order3- Planning in Progress , only Owner can set it to this state and manual entry is allowed only by owner . And then to complete the work status configuration , save it . After completion of all the configuration in the BPC web client, we now should be able to set the work status in Analysis Office. Launch Analysis Office and insert the planning enabled query. 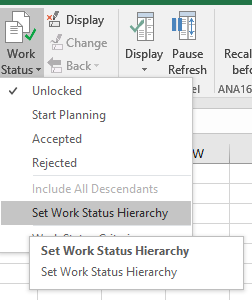 The work status option will be effective only on reopening the workbook. Launch the workbook again ,this time login with the credentials of a manager , say a user who belongs to the SP_PLAN_MANAGE team . Now you will see that the selected cell is not available for editing. Save the Data. Now close the workbook and launch again with the user credentials of a planner who belongs to SP_PLAN_TEAM1. 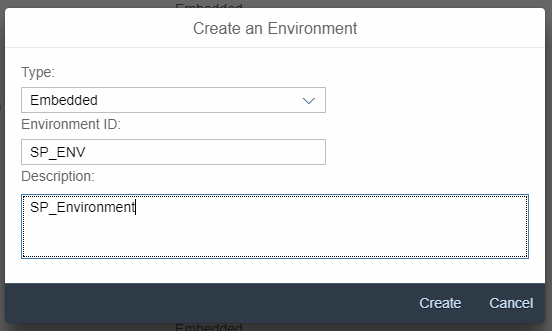 Manually change the value and set it to Sent for Approval. Again launch the workbook, by logging in as manager, either approve or Reject the planning.